Looking for a puzzle to challenge your creativity? 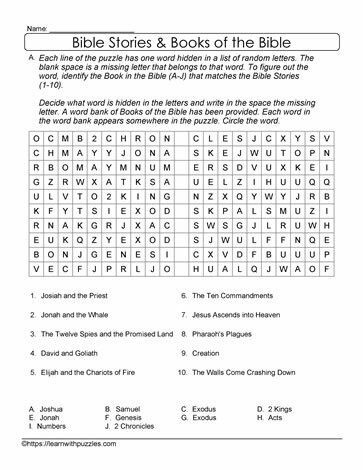 Solve this downloadable bible stories and the books of the bible combined puzzle. Great for middle school students in grades 4,5,6 and students who are homeschooled. Bible books vocabulary has been included for reference.